Hundreds of thousands of webmasters throughout the world have carved out niches for themselves, their causes and their projects via blogs and websites. In the pursuit of a better future, many of these individuals have monetized their blogs and now earn anywhere from tens to thousands of dollars per month doing what they love. Most of this, however, is done through ad revenue and other forms of affiliate marketing. One key area where large amounts of revenue can potentially be earned is through membership sites, which strive to offer a level of content above what can traditionally be found on the internet for free. If you have something to offer the world and want to prosper in a new niche on the web, then continue reading to find out about how you can start your very own membership site. Anyone who has built a website will understand that it is a work in progress: there is always something new to add or another element that can be incorporated in order to make it perfect. While we worry about pinging links and having valuable content perfected before any deployment occurs, this can often prevent the overall idea from getting off of the ground. You should deploy your membership website as soon as you have some base content in place – it will never be absolutely perfect, and hesitation can ultimately lead to failure. Even if your website does not gain many new memberships in its infancy, you will still be able to get the word out about your offerings and provide users with a bit of intrigue as you add more content. The best way to determine what your membership website will entail is to inspect those who have already succeeded. You may even already be a member or one or more of these websites – if so, then use your membership to explore all of its features and jot down the ones you like most. Once you have isolated the elements that are most desired, you will then want to study more on how you can implement these attributes via a content management system or some equivalent. 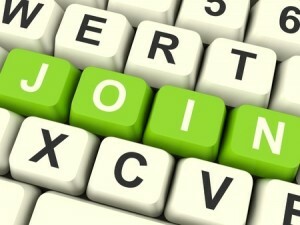 Membership sites can become complex once they have been fully developed. As a result of premium features and content (plus any free features and content that may be offered), you may be pinging links by the hundreds or thousands. This requires an intuitive interface in order to give your members comprehensive and easy access to said content. If you want to ensure recurring subscriptions, then it is vital that you add directories and sub-directories in order to categorize your content, create a site index that can be used to easily jump in between various categories and a search function that is built around solely the content within your website. A membership site has to start somewhere. You shouldn’t wait until you have the perfect design and content has been added, because there will always be something else to consider, tweak or add. Brainstorm for ideas from your potential competitors and develop a solid navigation system in order to guarantee users will continue to enjoy and pay for your service. With these aspects accomplished, you can move on to the marketing and social promotion methods that are necessary to establish permanent growth for your venture.